This is Jess' new favorite go-to dessert recipe. You can make the recipe in a 9 x 13 pan for smaller bars, or you can make big bars by using an 8 x 8 pan. 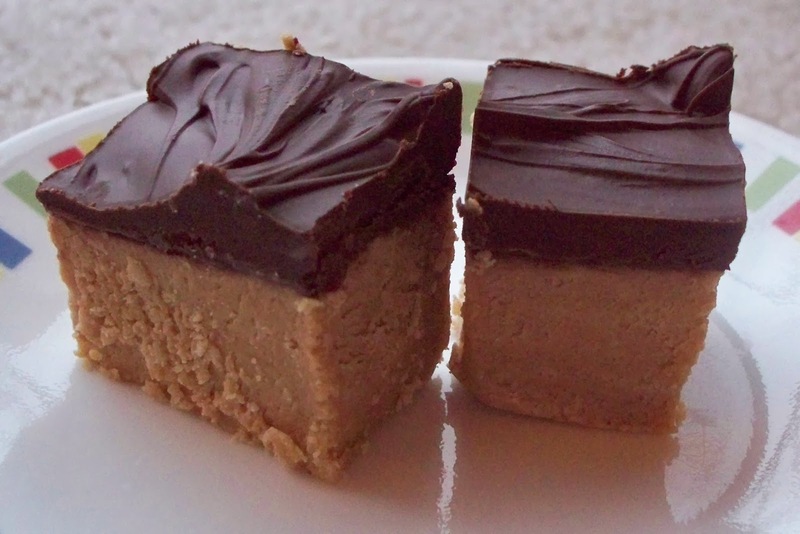 The bars pictured here were made in an 8 x 8 pan. Add sugars, peanut butter and vanilla. Mix well. Melt chocolate chips and spread over the top of the peanut butter mixture in the pan. Let cool. Super yummy and super easy. Please enjoy!